So I wanted to ask something which I am questioning myself since a long time, but it seems I don't come to a satisfying answer and yeah, this is intended to be a critique thread, so don't move it to the general discussion board. With which resolution and charsize would you proceed? The character sprite I use is currently just placeholder and will be redone, but before I will do that I am interested into thoughts on overall size impression. If you have a different feeling than my approaches, feel free to do a quick resize. 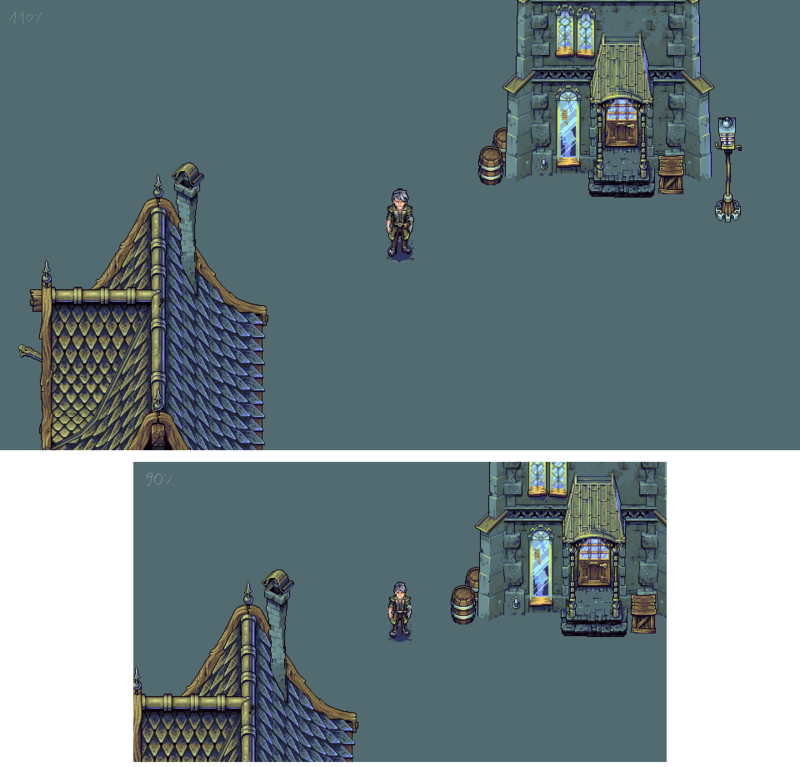 the 640x360 300% seems to have a much nicer "pixely" look, which means, that the game would intentionally read much more like a modern pixel art game, while the bigger resolution definitely has more space for details and looks much cleaner. My prefered two versions are 960x540 110%char and 640x360 90%char - which one is better? Maybe you have an even better idea for the overall size. The 110% version looks much cleaner, as you said. In my opinion, the 110% version fits the surrounding much better, the 90% version looks too much like child (size wise). I'm pretty sure the surroundings are the same on both images, am I correct? Pixel Art, what (mostly) all of us are here for. 110% for the character, or as big as you can, with how huge these resolutions are coming. We don't want the character getting lost in everything going around him. Bigger character means more focus and prominence, and less space for distractions around your screen for your eyes to get lost into. Well.. I'd say it just feels cozier somehow. And the pixels look more crisp and beautiful if zoomed. Something about a smaller resolution size with character at 110% just clicks right after testing right away, compared to the other. I could elaborate more, but to go deep into golden ratio calculations or other successful references from other games may be too much for me tonight. Btw, this is freaking huge. the surroundings are the same yeah. I added them mainly to give a clue about how big a single pixel looks assets wise and to show how the details work on a screen together with the char. The not exactly fitting size relationships from char to environment actually don't hurts, it's more about the look of the overall detail level and how much playable space surrounds the character. If you have more reference or you come up with an formula, feel free to do so. 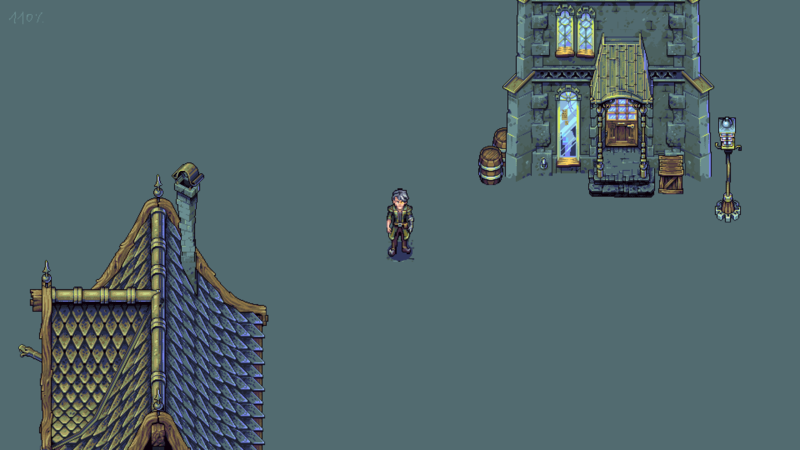 I established the character size quite a while back for 640x480 and don't have solid theories how a widescreen changes established character size/tile relationships. Would definitely go with the larger one, considering that you want to go with a 1920x1080 resolution as the maximum. I would always aim everything to fit with the limits of what I have to work with, in your case being a really big resolution size. A smaller character on a bigger screen resolution would seem awkward, too small compared to the rest of the world; obviously depends on the resolution (i.e a 30x50 character on a 1280x768 resolution would look way too small and hard to follow compared to character let's say double that size, 60x100, on that same resolution). Incidentally, it also goes the other way around, you don't want your character to be too big on the smallest resolution you have to offer, but I doubt that's going to be a problem. It also depends on what you're trying to achieve and work with; a smaller character would consequently make the whole world around him look vaster (especially with the resolution of 1920x1080), and would also make your work easier, particularly on animations. But it also has its downfalls; the amount of detail you can put onto him, and the balance between his size and the max resolution size. On a lesser note, the objects around the 90% version look somewhat too big compared to him. small one gives me the feeling that I'd be Mr. Nobody in the city, possibly a newcomer. The larger one gives the feeling that the guy owns the place, that he's the one people step back to let him walk uninterruptedly. 640x360 and 100% character size looks best imo. If you feel that 300% works fine in terms of chunky pixels then I'd say go for it. You'll be needing to reduce workload however you can and the pixel-tech is more than good enough to stand up to the lower resolution I think. The 90%/300% scale feels more intimate while 200% gives a better overview. I prefer 300% but depends how important you feel good overview is I guess? Your work looks very good! 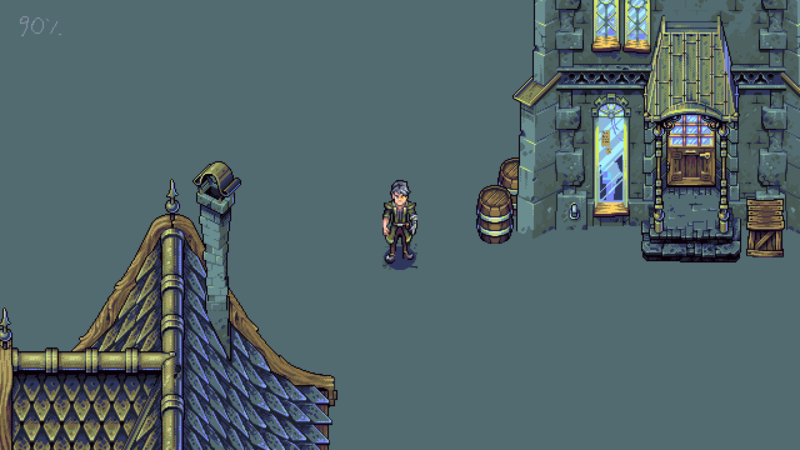 The pixel art feels much more purposeful at 640x360. At 960x540, there's aesthetically no reason not to use HD art. Another thing to keep in mind is that 640x360 will also scale perfectly to 720p!